Ephedra used to be the most powerful ingredient in a large number of weight-loss products, and until its ban in 2005 it had helped a lot of overweight and obese people to get rid of their excess weight successfully. Ephedra was used as a strong fat burner, but was banned for its serious side effects. The FDA banned the use of the substance in slimming supplements, and today buying diet products containing Ephedra is not legal in the USA. The banning of Ephedra slimming pills greatly disappointed those successful dieters who used the product according to instructions. There are a lot of nutritionists who maintain that Ephedra wouldn’t have caused such serious side effects and wouldn’t have been banned if all users followed the recommended dosage and often consulted with their doctor. On the other hand, using such a powerful product that can easily cause heart malfunctioning or worse is too high a price to pay for weight loss, and most dieters do not seem willing to pay frequent visits to doctors and clinics to have their heart checked. However, there are some people who still want to use Ephedra and they search the Internet to find similar slimming pills which are illegally sold on several sites. They wrongly think that the banned Ephedra is the only substance that can help them lose weight. Ephedra is an extract from a medicinal plant called Ephedra Sinica and it has been used for centuries in the Chinese medicine to cure a large number of ailments such as asthma, hay fever and the common cold. Known in China as Ma Huang, Ephedra was used in slimming products because of its thermogenic properties which can increase the metabolic rate of the body and make it burn more of its stored fat. Ephedra can also constrict blood vessels and increase both blood pressure and heart rate, but these are its properties that caused its serious side effects which in turn led to its banning. Its active ingredient is Ephedrine, a substance very similar to amphetamine and that was the reason why Ephedra was thought to improve athletic performance. Ephedrine alkaloids can also be found in several other herbs that belong both to the Ephedra species and to several other plants and these are also used in medicines in China and in several other countries. During the years when Ephedra was legally used in slimming products there had been numerous reports for a large number of side effects which caused dieters several health problems ranging from mild unpleasant symptoms to serious health hazards, while there were also two death cases. 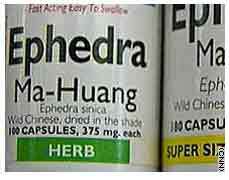 The list below shows all the side effects that Ephedra could potentially cause to dieters. These side effects were the reason why the FDA considered Ephedra and other Ephedra alkaloids as substances highly dangerous to consumers’ health and safety. 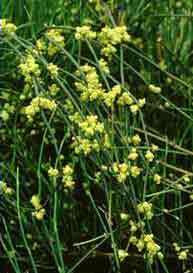 While Ephedra was very popular with American dieters, the product was not so popular in Europe where its use was rather limited. However, after Ephedra was banned in 2005, a lot of dieters started searching the Internet to buy the product from illegal websites. Despite the banning of Ephedra, the FDA admits that Chinese herbal medicine can provide people with extraordinary alternative cures, but the way Ephedra was used, or most probably misused, caused so many adverse reactions that its banning could not be avoided. After the USA, the ban was expanded in the UK, the whole of Europe and several other countries all over the world. Can I Buy Ephedra Pills? Since Ephedra was banned in the USA, Europe and several other countries in the world, it is illegal to buy Ephedra slimming pills and diet supplements. However, despite the ban, there are several online outlets that sell Ephedra-based diet pills and other supplements. Dieters often get into the temptation to buy these illegal products but they must always have in mind the severe side effects that they may have to suffer. They must also consider that these products may be fake, and of such doubtful quality that their health may be seriously at risk. Are There Legal, Effective Ephedra Alternatives? Today the diet pill industry has managed to produce very powerful, very effective and side-effect-free products. Things have changed a lot since 2005 when Ephedra was banned, and new products are based on innovative, advanced formulas that make them safe, effective and much more powerful than Ephedra. Today, fat burners are not considered to be the most effective diet pills, but there are a few exceptions in this category which can satisfy dieters who prefer them. 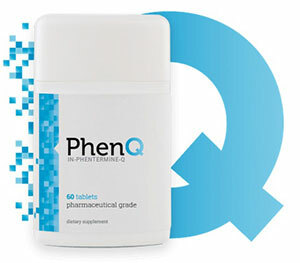 One such example is Phen375. One the strongest natural fat burners available today is also one of the safest.